When it comes to retirement savings, all of us have good reasons to avoid it. 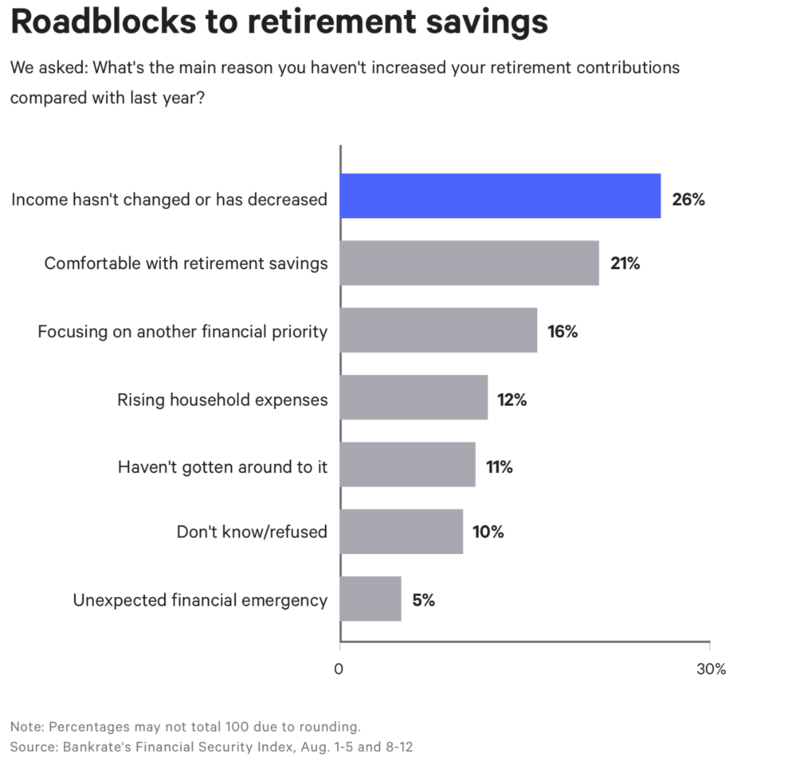 As a matter of fact, Bankrate conducted a study last year and the table below shows some of the key reasons people are not saving today for their retirement. Not surprisingly, stagnating or declining income is the top reason. While everything is else is going up (rent, groceries, gas, etc…), income has barely moved. A $1 today goes way less further than it went 30 or 40 years back. So many of you are probably saving for emergencies, leisure and other short-term expenses. But it comes at the expense of your long-term retirement when you will not be able to or will not want to work anymore. Yes, once you turn 65, you may have access to free healthcare (as long as you worked enough quarters and paid medicare taxes during that time), you will have access to plenty of senior discounts to do plenty of things, but that still does not help you with the income part. You may want to help your kids or grandkids. You may want to finally take that trip to visit Paris. How are you planning to pay for this? What’s you plan? In this article, we want to highlight 3 aspects that may help you, the independent worker, approach retirement income differently. One of the strange things about retirement savings is that you will not get any immediate benefits. Granted that concept can be difficult to grasp. The money you stash today is actually money for you later. But one of the beautiful things about retirement savings is how much it can grow over your professional life. Let’s look at 2 examples. Let’s start with Example 1 - You are 60 years old: If you save $1 today, this dollar will become $1.33 by the time you reach 65. Mehh. Not much right? 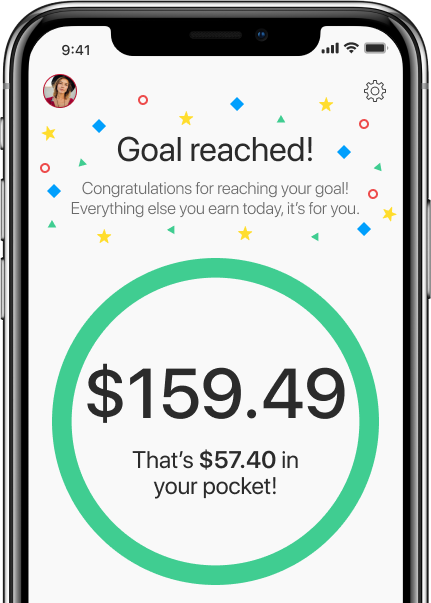 Now onto with Example 2 - You are 25 years old: If you save $1 today, this dollar will become almost $7 by the time you reach 65, based on historical data. Say what?? That’s right! Without you doing anything, that dollar will grow over a period of 40 years to multiply by almost 7! What does this tell you? You should understand 3 things. Start early. Start early. Start early. The younger you start saving for retirement, even with small amounts, the better you will be when you get older. Not only will your retirement savings grow a lot over the next 10, 20 or 40 years depending on when you start, but you will also get deductions or even better get tax credits. Because the government doesn't want you to retire without any income, they are trying to help you with that with incentives. Some incentives are good but none are better than the Saver’s Tax credit, which is probably one of the best retirement savings secrets. What is the Saver’s tax credit? The Saver’s tax credit is a highly advantageous non-refundable incentive allowing eligible savers to get a tax credit of up to 50% of their contributions within an annual limit of $2,000. If you have filed your taxes in the past, you know that deductions are part of the game as an independent worker. Deductions allow you to reduce your taxable income. But tax credits reduce directly your tax burden. These are the real deal. Let’s say you owe $2,000 in taxes but have a $2,000 tax credit, then you will owe $0! Who is eligible to the Saver’s tax credit? Because this tax credit is such a great way to save for retirement, not everyone will be eligible. First, there are some basic criteria. You have to be at least 18 years of age, not a full-time student and not claimed as a dependent by someone else. Once you satisfy these criteria, you can have a look at the income criteria which will determine what tax credit you can get. Below is the table for 2019. Not sure how to read that table? Let’s look at 2 examples. - If your filer status is single and make $25,000 with Uber and $5,000 with Postmates this year (so a total of $30,000), you would be able to to get a tax credit of 10%. If you save $1,000 in an IRA or other retirement accounts, you will get a $100 tax credit. 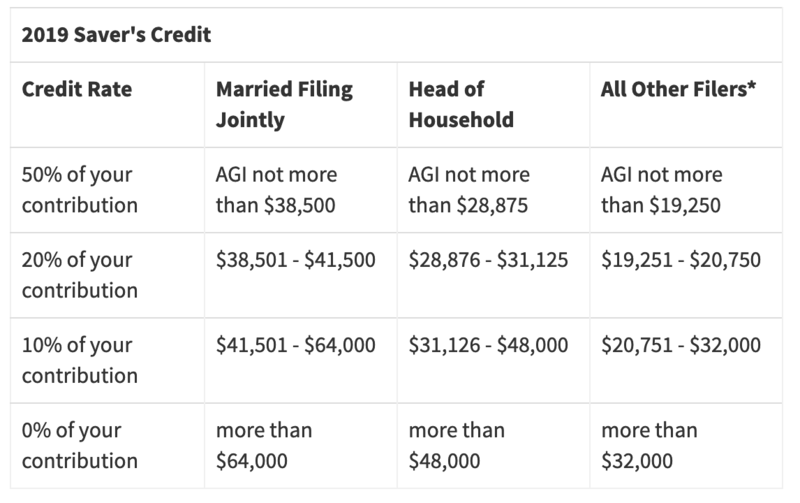 - If your filer status is married filing jointly and you made a grand total of $35,000 between your spouse and yourself, you will get a tax credit of 50%. If you save $1,000 in that IRA, you will receive a $500 tax credit! That’s huge. Check the table above to see if you qualify! If you do, you will need to file a form 8880. If you need help, house of gigs just partnered with our friends over at Visor who offer professional help for independent workers and can help you with the saver’s tax credit and all your other tax questions! We got an exclusive $50 discount for all our members. Having a plan, starting early and knowing some secrets are really important to build your retirement savings. But that’s only the beginning. To enjoy the freedom you want when you get old, you also have to be disciplined over a long period of time. Granted! That’s hard. At house of gigs, we are big believers of the “start small” approach. No need to set a starting goal of $200 a month if you know you will not be able to keep it in the long-run, get discouraged and give up along the way. We think it is more efficient for you to start with smaller and more realistic goals of $50 or $100 a month (you define it), enjoy the saver’s tax credit if you are eligible and see how it goes. Making regular contributions that you are comfortable with is the key to building a solid retirement income. If you have any further questions or need help, please feel free to reach out to us on [email protected]. We would be happy to assist you!